Advocare Slim Review (UPDATED 2019)- Does it Really Work? Advocare Slim Review – Does it Really Work? Manny weight loss supplements come in the form of diet pills, but Advocare Slim is different. Advocare Slim is a powdered drink mix that may interest you if you are looking to lose weight but do not like taking pills. Advocare Slim is comprised of several ingredients to help you lose weight by improving the metabolic functions of your body. However, some of its ingredients may be unsafe. Let’s consider the positive and negative traits of this supplement and see if Advocare Slim is right for you. 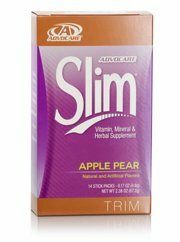 Advocare Slim belongs to a line of products made by Advocare International. Advocare International was founded in 1993 and operates out of Plano, Texas. The company offers a wide range of other health supplements in addition to Advocare Slim. However, it does not seem like you can buy Advocare products directly from the company itself. Instead, you have to rely on third party distributors, some of whom may be unfortunately unreliable. Advocare Slim’s contains several ingredients intended to stimulate your metabolism. Many weight loss pills and other supplements like Advocare Slim boost your metabolism because it ideally results in less fat and more energy. When you eat food, your metabolism turns it into energy. If you aren’t active enough, the food gets stored in your body as fat. But if you boost your metabolism, it is able to turn more food into energy than normal, resulting in more energy being produced and less fat being stored in your body. A properly boosted metabolism should even be capable of creating energy from the fat that’s already stored in your body, which would lead to even greater weight loss. Some users claim to have lost weight while taking Advocare Slim but results do not seem to be guaranteed. Many reviews of the product indicate that weight loss can be rare while side effects could be very likely. One former user even claims to have gained by pounds while taking Advocare Slim, but weight gain does not seem to be a common side effect of this supplement. Caffeine: a very common weight loss ingredient. Caffeine keeps you feeling energetic and alert while slightly boosting your metabolism. Green Coffee Extract: this ingredient is another good source of caffeine, which has beneficial effects on your metabolism. Green Coffee Beans also contain Chlorogenic Acid. Chlorogenic Acid cannot be found in regular roasted coffee beans but it can allegedly aid in the weight loss process. Thiamine: this ingredient can help boost your metabolism. Your average diet should already be a good source of Thiamine, but more of the ingredient means that your metabolism should function even better. Biotin: this ingredient can improve the way your body produces energy. Chromium: taken by people with type 2 diabetes to lower blood sugar and insulin, this ingredient may also aid in weight loss. Garcinia Cambogia: this ingredient is frequently used as an appetite suppressant in health and weight loss supplements. Garcinia Cambogia may also boost your metabolism. Taurine: a frequent ingredient in energy drinks. Taurine should give you a boost of energy to help keep you going through your day. Supplements that contain as much caffeine as Advocare Slim can usually result in some unpleasant side effects. Advocare Slim may give you the jitters, headaches, insomnia, anxiety and heart palpitations. Advocare Slim’s official website helps you find a distributor near you. Advocare Slim should not be taken if you are sensitive to caffeine either, or if you have a preexisting blood sugar condition. Advocare Slim is a powdered drink mix supplement designed by Advocare International to help you lose weight. Advocare Slim is allegedly capable of suppressing your appetite and boosting your metabolism to help you eat less and burn more fat. Judging from reviews, weight loss results do not seem guaranteed. Advocare Slim does not seem capable of providing very reliable weight loss results. Even worse, it contains an ingredient that may be dangerous. It seems like you would be better off looking for a more traditional diet pill that will help you lose weight that does not come with the threat of potential damage to your body. Whats better than Advocare Slim?